Sabu M. Thampi is a Professor at Indian Institute of Information Technology and Management - Kerala (IIITM-K), Technopark Campus, Trivandrum, Kerala State, India. He has completed Ph.D in Computer Engineering under the supervision of Dr. K. Chandrasekaran from National Institute of Technology Karnataka. 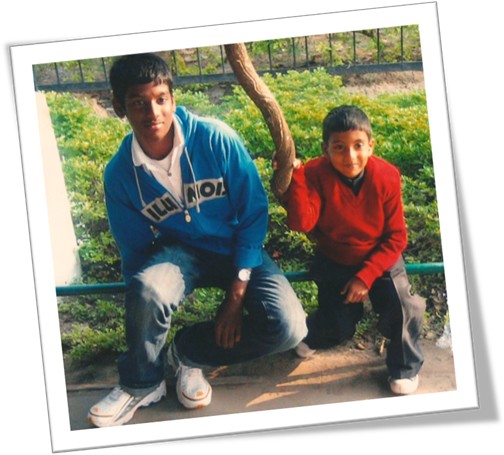 Sabu has several years of teaching and research experience in various institutions in India. His research interests include sensor networks, Internet of Things(IoT), authorship analysis, social networks, nature inspired computing, image forensics and video surveillance. He has authored and edited few books published by reputed international publishers and published papers in academic journals and international and national proceedings. Sabu has served as Guest Editor for special issues in few international journals and program committee member for many international conferences and workshops. He has co-chaired several international workshops and conferences. He has initiated and is also involved in the organization of several annual conferences/symposiums: International Conference on Advances in Computing, Communications and Informatics (ICACCI), Symposium on Intelligent Systems Technologies and Applications (ISTA), Symposium on Security in Computing and Communications (SSCC), Symposium on Intelligent Informatics (ISI), Symposium on Signal Processing and Intelligent Recognition Systems (SIRS) etc. Sabu is currently serving as Editor for Journal of Network and Computer Applications (JNCA), Elsevier and Journal of Applied Soft Computing, Elsevier; and Associate Editor for IEEE Access and International Journal of Embedded Systems, Inderscience, UK; and reviewer for several reputed international journals. Sabu is a Senior Member of IEEE and member of IEEE Communications Society, IEEE SMCS, and Senior Member of ACM. He is the founding Chair of ACM Trivandrum Professional Chapter. V.Indu and Sabu M Thampi, A nature - inspired approach based on Forest Fire model for modeling rumor propagation in social networks, Elsevier Journal of Network and Computer Applicatios,125 (2019) 28-41. doi = "https://doi.org/10.1016/j.jnca.2018.10.003"
Gemini George and Sabu M Thampi, A Graph-Based Security Framework for Securing Industrial IoT Networks from Vulnerability Exploitations, Vol. 6, 2018, pp. 43586-43601, IEEE ACCESS. Divya S Vidyadharan and Sabu M Thampi, Evaluating Color and Texture Features for Forgery Localization from Illuminant Maps, Springer Journal on Multimedia Tools and Applications, April 2018. Divya S. Vidyadharan and Sabu M. Thampi, Illuminant Color Inconsistency as a Powerful Clue for Detecting Digital Image Forgery: A Survey, Intelligent Systems Technologies and Applications, Advances in Intelligent Systems and Computing, Vol. 683, pp. 279-297, September 2017, Springer. Deepthi P. S and Sabu M Thampi, A Privacy Preserving and Safety-Aware Semi-supervised Model for Dissecting Cancer Samples, Computational Collective Intelligence, pp.129-138, Springer LNAI, 2017, DOI: 10.1007/978-3-319-67077-5_13. Anjana P Das and Sabu M Thampi, Fault-Resilient Localization for Underwater Sensor Networks, Elsevier Ad Hoc Networks Journal, 55: 132-142 (2017). Soumya T and Sabu M Thampi, Recolorizing Dark Regions to Enhance Night Surveillance Video, Springer Journal on Multimedia Tools and Applications, 76(22), 24477-24493 DOI 10.1007/s11042-016-4141-4. Asha Liza John and Sabu M Thampi, Encryption Scheme based on Hyperelliptic Curve Cryptography, The 9th International Conference on Security, Privacy and Anonymity in Computation, Communication and Storage (SpaCCS 2016), Zhangjiajie, China, November 16-18, 2016, Springer Lecture Notes in Computer Science (LNCS), 491-506, 2016. Anjana P Das and Sabu M. Thampi, Simulation Tools for Underwater Sensor Networks: A Survey, Network Protocols and Algorithms, ISSN 1943-3581, 2016, Vol.8, No.4, pp. 41-55. Deepthi P S and Sabu M Thampi, PSO based Feature Selection for Clustering Gene Expression Data, IEEE International Conference on Signal Processing, Informatics, Communication and Energy Systems (IEEE SPICES), February 19-21, 2015, Calicut, India. Deepthi P S and Sabu M Thampi, Unsupervised Gene Selection Using Particle Swarm Optimization and K-means, Second Conference on Data Sciences (CoDS), organised by Indian chapter of the ACM Special Interest Group on Knowledge Discovery in Databases (ACM IKDD) in association with ACM SIGKDD, March 18-21, 2015 Bangalore, India. Divya S Vidyadharan and Sabu M Thampi, Brightness Distribution Based Image Tampering Detection, IEEE International Conference on Signal Processing, Informatics, Communication and Energy Systems (IEEE SPICES), February 19-21, 2015, Calicut, India. Soumya T and Sabu M Thampi, Day Color Transfer Based Night Video Enhancement for Surveillance System, IEEE International Conference on Signal Processing, Informatics, Communication and Energy Systems (IEEE SPICES), February 19-21, 2015, Calicut, India. Simon Fong, Suash Deb and Sabu M. Thampi, Classifying Sonar Signals Using an Incremental Data Stream Mining Methodology with Conflict Analysis, Proc. International Symposium on Signal Processing and Intelligent Recognition Systems (SIRS-2014), March 13-15, 2014, Trivandrum, India [Springer]. Deepthi P S and Sabu M. Thampi, A Review of Algorithms for Clustering Large Datasets, Proc. 1st International Conference on Business Analytics and Intelligence, IIM Bangalore, 11-13 Dec 2013. Sabu M. Thampi and Chandra Sekaran K, "Q-Feed"- An Effective Solution for the Free-riding Problem in Unstructured P2P Networks, International Journal of Digital Multimedia Broadcasting, ISSN: 1687-7578, e-ISSN: 1687-7586, Hindawi Publishing Corporation, Vol. 2010, Article ID 793591, doi:10.1155/2010/793591. Amritha Sampath, Tripti. C, and Sabu M. Thampi, An ACO Algorithm for Effective Cluster Head Selection, International Journal of Advances in Information Technology (JAIT), ISSN: 1798-2340, Vol. 2, No. 1, February 2011, pp. 50-56, doi:10.4304/jait.2.1.50-56, Academy Publishers, Finland. Sabu M. Thampi, and Ann Jisma Jacob, Securing Biometric Images using Reversible Watermarking, International Journal of Image Processing (IJIP), ISSN: 1985-2304, CSC Journals, Vol. (5): Issue (4): 2011, pp. 382-389. Swapna H, Jayasudha J.S and Sabu M. Thampi, A Trust Model for Identifying Malicious Behavior in P2P Networks, International Journal of Computer Applications, Special Issue on Advanced Computing and Communication Technologies for HPC Applications, (2):7-13, July 2012. Sabu M. Thampi and Chandra Sekaran K, Protocols for Bio-Inspired Resource Discovery and Erasure Coded Replication in P2P Networks, INFOCOMP Journal of Computer Science, ISSN 1807-4545, Vol. 9, No. 2, pp. 08-20, June, 2010. Sabu M. Thampi and Chandra Sekaran K, An Enhanced Search Technique for Managing Partial Coverage and Free Riding in P2P Networks, International Journal of Recent Trends in Engineering, ISSN: 1797-9617, Academy Publishers, Finland, Vol. 2, No. 1-6, pp. 33-41, 2009. Sabu M. Thampi and Chandra Sekaran K, An Effective Distributed Search Technique for Unstructured Peer-to-Peer Networks, International Journal of Computer Science and Information Security, Vol. 8, No. 1, pp. 128-135. Sabu M. Thampi and Chandra Sekaran K, A Survey of Searching and Replication Schemes in Unstructured P2P Networks, International Journal of Network Protocols and Algorithms, ISSN: 1943-3581, Vol. 2, No. 1, pp. 93-131, 2010. Ann Jisma Jacob, Nikhila T. Bhuvan and Sabu M. Thampi , Feature Level Fusion Using Multiple Fingerprints, IJCA Special Issue on Computational Science - New Dimensions & Perspectives, International Journal of Computer Applications, ISSN 0975-8887, (1):13-18, 2011. Sabu M. Thampi, Nithya Aniyan, Chitharanjan K, Hexagonal Group Based Key Management Using Deployment Knowledge in Wireless Sensor Networks, Proc. International Conference on Advances in Computing, Communications and Informatics (ICACCI-2012), August 3-5, 2012, Chennai, India [ACM]. Marfa M, Subu Surendran, Radhakrishnan T, Sabu M. Thampi, Cache Based Approach for Improving Location Based Query Processing in Mobile Environment, Proc. International Conference on Security of Internet of Things (SECURIT'12), August 16-19, 2012, Kerala, India [ACM]. Sabu M. Thampi, A.A. Arifa Azeez and Elizabeth Isaac, Anonymous and Secured Communication Using OLSR in MANET, A. Abraham et al. (Eds. ), Advances in Computing and Communications, Communications in Computer and Information Science (CCIS), Part IV, ISBN 978-3-642-22725-7, Vol. 193, pp. 145-154, Springer-Verlag Berlin Heidelberg 2011. Sabu M. Thampi, and Diya Thomas, Mobile Query Processing-Taxonomy, Issues and Challenges, A. Abraham et al. (Eds. ), Advances in Computing and Communications, Communications in Computer and Information Science (CCIS), Part I, ISBN 978-3-642-22708-0, Vol. 190, pp. 64-77, Springer-Verlag Berlin Heidelberg 2011. Sabu M. Thampi, G. Sreenu, and P.M. Dhanya, Enhancement of BARTERCAST Using Reinforcement Learning to Effectively Manage Freeriders, A. Abraham et al. (Eds. ), Advances in Computing and Communications, Communications in Computer and Information Science (CCIS), Part IV, ISBN 978-3-642-22708-0, Vol. 193, pp. 126-136, Springer-Verlag Berlin Heidelberg 2011. Sabu M. Thampi, and Neethu Mohandas, Improving Hadoop Performance in Handling Small Files, A. Abraham et al. (Eds. ), Advances in Computing and Communications, Communications in Computer and Information Science (CCIS), Part IV, ISBN 978-3-642-22708-0, Vol. 193, pp. 187-194, Springer-Verlag Berlin Heidelberg 2011. Sabu M. Thampi and Chandra Sekaran K, Elephants Journey towards Successful Resource Discovery in Unstructured P2P Networks, Proc. of IEEE International Conference on Internet Multimedia Systems Architecture and Applications (IMSAA-09), Bangalore, 9-11 December 2009, pp. 284-290. Sabu M. Thampi and Chandra Sekaran K, Review of Replication Schemes for Unstructured P2P Networks, Proc. of IEEE International Advance Computing Conference IEEE (IACC'09), Thapar University, Patiala, March 6-7, ISBN: 978-981-08-2465-5, pp. 794-800, 2009. Sabu M. Thampi and Chandra Sekaran K, Q-learning based collaborative load balancing using distributed search for unstructured P2P networks, Proc. of 33rd IEEE Conference on Local Computer Networks- LCN 2008, Montreal, pp. 797-802,14-17 Oct. 2008. Sabu M. Thampi and Chandra Sekaran K, Autonomous Data Replication Using Q-Learning for Unstructured P2P Networks, Proc. of the 6th IEEE International Symposium on Network Computing and Applications (IEEE NCA07), July 12 - 14, 2007, Cambridge, MA USA, ISBN: 0-7695-2922-4, pp. 311-317. Sabu M. Thampi and Chandra Sekaran K, An Agent Based Peer-To-Peer Network with Thesaurus Based Searching and Load Balancing, Proc. of the 2005 IEEE International Conference on Computational Intelligence for Modeling, Control and Automation, and International Conference on Intelligent Agents, Austria, 28-30 November 2005, ISBN: 0-7695-2504-0, Vol. 1, pp. 992-997. Sabu M. Thampi and Chandra Sekaran K, Content Based Retrieval Using Mobile Agents and Steganography, Proc. of 13th International Conference on Advanced Computing and Communication (ADCOM-2005) 14-17 December 2005, Coimbatore, India, Allied Publishers, ISBN: 81-8424-109-7, pp. 422-427. Sabu M. Thampi and Chandra Sekaran K, Mobile Agents for Content-Based WWW Distributed Image Retrieval, Proc. of the International Conference on Human Machine Interfaces (ICHMI-2004), IISC Bangalore, Dec.2004, pp 94-102. Indu V and Sabu M Thampi. "Nature Inspired Approaches for Social Network Security", Invited Book Chapter, Nature-inspired Security and Resilience: Fundamentals, Technology and Applications, to be published by IET, UK. Elizabeth B Varghese and Sabu M Thampi. "IoT based Smart Surveillance: Role of Sensor Data Analytics and Mobile Crowd Sensing in Crowd Behavior Analysis", Invited Book Chapter, Crowd Assisted Networking and Computing, to be published by CRC Press, Taylor & Francis, USA. Sabu M. Thampi, A Book Chapter on 'Peer-to-Peer Video Streaming', Building Next-Generation Converged Networks: Theory and Practice (59 pages) CRC Press, Taylor & Francis Group, USA (February 2013). Rajkumar Buyya and Sabu M. Thampi, Intelligent Distributed Computing, Springer-Verlag Berlin Heidelberg, Germany, September, 2014. Sabu M. Thampi, Bharat Bhargava and Pradeep Atrey, Managing Trust in Cyberspace, CRC Press, Taylor & Francis Group, USA, December, 2013. Sabu M. Thampi, Gregorio Martinez Perez, Carlos Becker Westphall, Jiankun Hu, Chun I. Fan and Felix Gomez Marmol, Security in Computing and Communications: 5th International Symposium, SSCC 2017, Manipal, India, September 13-16, 2017, Communications in Computer and Information Science, Springer. Sabu M. Thampi, Sri Krishnan, Juan Manuel Corchado Rodriguez, Swagatam Das, Michal Wozniak and Dhiya Al-Jumeily, Advances in Signal Processing and Intelligent Recognition Systems, Proc. of Third International Symposium on Signal Processing and Intelligent Recognition Systems (SIRS-2017), September 13-16, 2017, Manipal, India, Springer. Sabu M. Thampi, Sushmita Mitra, Jayanta Mukhopadhyay, Kuan-Ching Li, Alex Pappachen James and Stefano Berretti, Intelligent Systems Technologies and Applications, Proc. of the Third International Symposium on Intelligent Systems Technologies and Applications (ISTA'17) held in Manipal, India during September 13-16, 2017, Springer. Sabu M. Thampi, Sanghamitra Bandyopadhyay, Sri Krishnan, Kuan-Ching Li, Sergey G. Mosin, Maode Ma: Advances in Signal Processing and Intelligent Recognition Systems - Proceedings of Second International Symposium on Signal Processing and Intelligent Recognition Systems (SIRS-2015) December 16-19, 2015, Trivandrum, India. Advances in Intelligent Systems and Computing 425, Springer 2016, ISBN 978-3-319-28656-3. Sabu M. Thampi, Alexander Gelbukh and Jayanta Mukhopadhyay, Advances in Signal Processing and Intelligent Recognition Systems, Springer-Verlag Berlin Heidelberg, Germany, March, 2014. El-Sayed El-Alfy, Sabu M. Thampi, Hideyuki Takagi, Selwyn Piramuthu and Thomas Hanne, Advances in Intelligent Informatics, Springer-Verlag Berlin Heidelberg, Germany, September, 2014. Sabu M. Thampi, Ajith Abraham, Sankar Kumar Pal, and Juan Manuel Corchado Rodriguez, Recent Advances in Intelligent Informatics, Springer-Verlag Berlin Heidelberg, Germany, ISBN: 978-3-319-01777-8, August 5, 2013. Sabu M. Thampi, C. Fan, P. K. Atrey and G. M. Perez, Security in Computing and Communications, Springer, Germany, ISBN 978-3-642-40575-4, August 2013. Sabu M. Thampi and Ajith Abraham, Intelligent Informatics, Advances in Intelligent and Soft Computing Series, Springer-Verlag Berlin Heidelberg, Germany, ISBN: 978-3-642-32062-0, August 2012. Sabu M. Thampi, A. Y. Zomaya, J. M. Alcaraz Calero, T. Strufe and T. Thomas, Recent Trends in Computer Networks and Distributed Systems Security, Communications in Computer and Information Science (CCIS), Springer-Verlag Berlin Heidelberg, Germany, ISBN: 978-3-642-34134-2, Vol. 335, October 2012. Ajith Abraham, Jaime Lloret Mauri, John F. Buford, Junichi Suzuki and Sabu M. Thampi, Advances in Computing and Communications, Vol. 190-193, Communications in Computer and Information Science (CCIS), Springer-Verlag Berlin Heidelberg, Germany, ISBN 978-3-642-22708-0, 978-3-642-22713-4, 978-3-642-22719-6, and 978-3-642-22725-7, 2011. Sabu M. Thampi , Ajith Abraham, Sankar Pal, Emilio Corchado, Vaclav Snasel, Siby Abraham and S. Ramakrishnan, Edited Book, Proceedings of Second World Congress on Information and Communication Technologies (WICT-2012) Trivandrum, IEEE, ISBN: 978-1-4673-4804-1, October 2012. Sabu M. Thampi, El-Sayed El-Alfy and Javier Aguiar, Edited Book, Proceedings of ICACCI-2012, Chennai, ACM ISBN: 978-1-4503-1196-0, August 2012. Sabu M. Thampi, Improving Search Performance in Unstructured P2P Networks, ISBN: 978-3-8383-9066-6, LAP Lambert Academic Publishing AG & Co. KG, Germany, 2010. Industry 4.0 and Internet of Things, Workshop on Internet of Things (IoT) and Cloud Architetcure, July 20-24, 2018, Marian Engineering College, Trivandrum. Cyber Safety Education, Workshop on Safe Practise of Technological Innovations in Educational Institutions, Centre for Women and Family Studies, NUALS, November 4, 2017, Kochi. Machine Learning in Cybersecurity, April 1, 2016, Vimal Jyothi Engineering College, Chemperi, Kannur (Organsied by ACM Student Chapter). Authorship Analysis - Techniques and Challenges, Oct. 15, 2015, Indian Institute of Management (IIM), Rohtak. Cloud Computing and Security, STTP on Network Security, May 19, 2014, Viswajyothi College of Engineering and Technology & Computer Society of India. Wi-Fi: Security Issues and Solutions , National Seminar on Emerging Trends in Cyber Security, November 21-22, 2013, SCTCE, Trivandrum. Access Control: Policies, Models and Mechanisms, Faculty Development Programme on Number Theory and Cryptography, November 11-13, 2013, LBSITW, Trivandrum. Key Management in Wireless Sensor Networks, National Seminar on Security and Key Management Issues in Wireless Networks, September 27, 2013, Thejus Engineering College, Thrissur, Kerala. Cyber Weapons: From Cyber War to Cyber Terrorism and Cybercrime, 2013 IEEE Conference on Information and Communication Technologies (ICT-2013), April 11-12, 2013, Noorul Islam Centre for Higher Education, India. Managing Trust in Cloud Computing, 2013 International Conference on Global Innovations in Technology and Sciences (ICGITS-2013)), April 4-6, 2013, SaintGits College of Engineering, Kottayam, India. An Introduction to Green Networking, Faculty Development Programme on Web development, hosting and networking, TEQIP, Govt. Engineering College, Barton Hill, Trivandrum, March 2013. The 5th Utility Service, National Conference on Future Information Technology (NCFIT'13), Nagercoil, Tamil Nadu, February 14, 2013. Security, Trust and Privacy in VANET, Faculty Development Programme on Recent Advances in Computing and Communication Technologies, TEQIP, Govt. Engineering College, Barton Hill, Trivandrum, January 2013. Security Issues and Solutions in Peer-to-Peer Systems, STTP on Recent Trends in Network Technologies, LBSITW, July 13, 2012. Trust Management in P2P Networks, International Workshop on Cyber Security (ICWCS-2011), Dec. 6 - 10, 2011, Centre for Innovative PG Studies in Cyber Security, St. Joseph's College, Thrissur, Kerala. 2015 International Conference on Computing and Network Communications (CoCoNet'15),December 16-19, 2015, Trivandrum, Kerala. Symposium on Emerging Topics in Computing and Communications (SETCAC'15), co-located with the 2015 International Conference on Computing and Network Communications (CoCoNet'15),December 16-19, 2015, Trivandrum, Kerala. Symposium on Embedded Systems, Robotics and Automation (ESRA'15), co-located with the 2015 International Conference on Computing and Network Communications (CoCoNet'15),December 16-19, 2015, Trivandrum, Kerala. 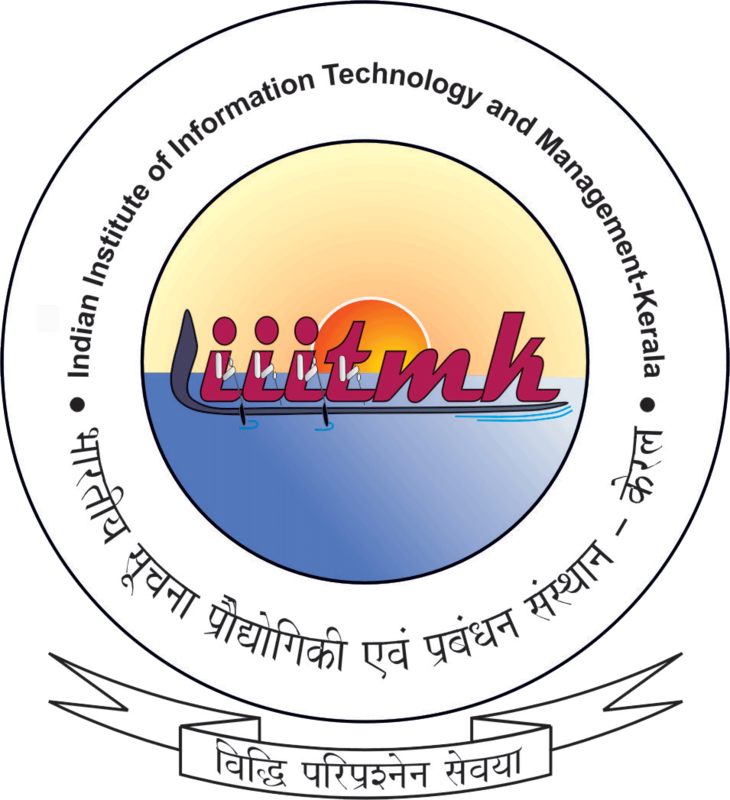 Symposium on Multimedia, Visualization and Human Computer Interaction (SMVH'15), co-located with the 2015 International Conference on Computing and Network Communications (CoCoNet'15),December 16-19, 2015, Trivandrum, Kerala. Symposium on Machine Learning Algorithms and Applications (MLAA'15), co-located with the 2015 International Conference on Computing and Network Communications (CoCoNet'15),December 16-19, 2015, Trivandrum, Kerala. Second International Symposium on Signal Processing and Intelligent Recognition Systems (SIRS'15),December 16-19, 2015, Trivandrum, Kerala. Workshop on Advances in Image Processing, Computer Vision, and Pattern Recognition (IWICP-2015)co-located with the Second International Symposium on Signal Processing and Intelligent Recognition Systems (SIRS'15),December 16-19, 2015, Trivandrum, Kerala. Workshop on Signal Processing for Wireless and Multimedia Communications (SPWMC'15), co-located with the Second International Symposium on Signal Processing and Intelligent Recognition Systems (SIRS'15),December 16-19, 2015, Trivandrum, Kerala. International Workshop on Authorship Analysis in Forensic Linguistics (AFL-2014), September 24-27, 2014, Delhi, India. Second International Workshop on Trust and Privacy in Cyberspace (CyberTrust'14) co-located with SNDS-2014. Second International Workshop on Security in Self-Organising Networks (SelfNet'14) co-located with SNDS-2014. International Workshop on Advances in Image Processing, Computer Vision, and Pattern Recognition (IWICP-2014) co-located with SIRS-2014. International Workshop on Intelligence and Security Informatics for International Security (IIS'12) co-located with SNDS-2012. International Workshop on Trust and Privacy in Cyberspace (CyberTrust'12) co-located with SNDS-2012. International Workshop on Security in Self-Organising Networks (SelfNet'12) co-located with SNDS-2012. First International workshop on Cloud Computing: Architecture, Algorithms and Applications (CloudComp2011), co-located with ACC-2011. Second International Workshop on Trust Management in P2P Systems (IWTMP2PS 2011), co-located with ACC-2011. First International Workshop on Bio-inspired Approaches to Advanced Computing and Communications (BioAdcom2010), Co-located with 5th International ICST Conference on Bio-Inspired Models of Network, Information, and Computing Systems (BIONETICS 2010) [http://www.bionetics.org/], Sponsored by ICST and Technical cooperation with Create-Net and Springer, Boston, Massachusetts, December 1-3, 2010. First International Workshop on Trust Management in P2P Systems (IWTMP2PS 2010) co-located with Third International Conference on Network Security & Applications (CNSA-2010), July 23 - 25, 2010, Chennai, India. Special Issue on Localisation, Positioning and Coverage in Wireless Sensor Networks, International Journal of Ad Hoc and Ubiquitous Computing (IJAHUC), Inder Science Publishers, Switzerland. Special Issue on Recent Developments in Computing and Communications, International Journal on Computers & Electrical Engineering, ISSN: 0045-7906, ELSEVIER. Special Issue on Recent Advances in P2P Systems - Trust, Reputation and Security Issues, International Journal of Communication Networks and Distributed Systems (IJCNDS), ISSN (Online): 1754-3924 -ISSN (Print): 1754-3916, Inder Science Publishers, U.K.
Special Issue on Advances in P2P Technology, International Journal of Advances in Information Technology (JAIT), ISSN: 1798-2340, Academy Publishers, Finland. Member, Technical Program Committee, 19th IEEE International Conference on Scalable Computing and Communications (ScalCom 2019), Aug 19-23, 2019, Leicester, UK. Member, Technical Program Committee, 17th IEEE Wireless Communications and Networking Conference (WCNC 2019), April 15-18, 2019, Marrakech, Morocco. Program Vice-Chair, Technical Program Committee, 2018 IEEE International Symposium on Smart City and Informatization (iSCI 2018), October 12-14, 2018, Guangzhou, China. Member, Technical Program Committee, KSE'18 (2018 10th International Conference on Knowledge and Systems Engineering), November 1-3, 2018, Ho Chi Minh City, Vietnam. Member, Technical Program Committee, International Conference on SMART MULTIMEDIA, August 24-26, 2018, Toulon, Cote D'Azur, France. Member, Technical Program Committee, 16th IEEE International Conference on Smart City (SmartCity-2018), Exeter, England, UK, 28-30 June 2018. Member, Technical Program Committee, IEEE MELECON'18 - 19th IEEE Mediterranean Electrotechnical Conference, May 2, 2018 - May 7, 2018, Marrakesh, Morocco. General Chair, The First International Symposium on Multimedia Security and Digital Forensics (MSDF 2017), co-located with The 10th International Conference on Security, Privacy and Anonymity in Computation, Communication and Storage (SpaCCS 2017), Guangzhou, China, December 12-15, 2017. Member, Technical Program Committee, IEEE ICC 2018 Wireless Communications Symposium, Kansas City, USA, May 20-24, 2018. Member, Technical Program Committee, DPNoC'17 (International Workshop on Design and Performance of Networks on Chip 2017), July 24-26, 2017, Leuven, Belgium. Member, Technical Program Committee, International Conference on Signals and Systems 2017 (ICSigSys 2017), Bali, Indonesia, 16-18 May 2017. Member, Technical Program Committee, 3rd International Conference on Higher Education Advances (HEAd'17), Valencia, Spain, June 21-23, 2017. Member, Technical Program Committee, The 10th IEEE International Conference on Internet of Things (iThings-2017), Exeter, England, UK, 21-23 June 2017. Member, Technical Program Committee, Security and Trusted Computing Track, CISIS 2017 : The 11th International Conference on Complex, Intelligent, and Software Intensive Systems, Istituto Superiore Mario Boella (ISMB), Turin, Italy, June 28-30, 2017. Member, Steering Committee, The 10th International Conference on Security, Privacy and Anonymity in Computation, Communication and Storage (SpaCCS 2016), Guangzhou, China, December 12-15, 2017. Member, Technical Program Committee, Communication and Information Systems Security Symposium, ICC 2017 - 2017 IEEE International Conference on Communications, 21-25 May, 2017, France. Member, Technical Program Committee, Compound Method of Pattern Classification (CMPC) Track, The Third European Network Intelligence Conference (ENIC 2016), September 5-7, 2016, Wroclaw, Poland. Publication Chair, 2016 IEEE International Conference on Internet of Things (iThings2016), Dec. 15-18, 2016, Chengdu, China. Member, Technical Program Committee, The 22nd IEEE Asia-Pacific Conference on Communications (APCC 2016), 25-27 August 2016, Yogyakarta-Indonesia. Workshops Chair, GreeNets, The 3rd EAI International Conference on Green Communications and Networking, June 27-29, 2016, Valencia, Spain (Proc. by Springer). Member, Technical Program Committee,Service Dependability and Security in Distributed and Parallel Systems Track, ICA3PP: 16th International Conference on Algorithms and Architectures for Parallel Processing (ICA3PP 2016), December 14-16, 2016, Granada, Spain. Member, Technical Program Committee, IEEE ICC 2016 Communication and Information Systems Security Symposium (ICC'16 CISS), Kuala Lumpur Convention Center, Malaysia, 23-27 May 2016. Member, Technical Program Committee, Track on Cloud Computing, 31st ACM Symposium on Applied Compuitng (SAC 2016), Pisa, Italy, 4th-8th April, 2016. Member, Editorial Advisory Board, Edited Book, Improving Information Security Practices through Computational Intelligence, IGI Global. Member, Technical Program Committee, 1st International Conference on Higher Education Advances, June 24-26, 2015, Valencia, Spain. Member, Technical Program Committee, International workshop on Wireless and Mobile Sensing Technology in the Future Internet(WMSTFI 2015)in conjunction with The 12th International Conference on Mobile Systems and Pervasive Computing (MobiSPC-2015), August 17-20, 2015, Belfort, France. Member, Technical Program Committee, Eighth International Conference on Developments in eSystems Engineering (DeSE'2015), 13-15 December 2015, Dubai, UAE. Member, Technical Program Committee, Track 7: Service Dependability and Security in Distributed and Parallel Systems, 15th International Conference on Algorithms and Architectures for Parallel Processing (ICA3PP 2015), November 18-20, 2015, Zhangjiajie, China. Member, Technical Program Committee, INTERNET 2015 - The Seventh International Conference on Evolving Internet, October 11-16, 2015, St. Julians, Malta. Member, Technical Program Committee, IEEE International Workshop on Advances in Software Defined and Context Aware Cognitive Networks (IEEE SCAN 2015)in Conjunction with IEEE International Conference on Communications (ICC) (ICC-2015), 8-12 June 2015, London, UK. Member, Technical Program Committee, The Fourth International Conference on Smart Systems, Devices and Technologies (SMART 2015), June 21-26, 2015, Brussels, Belgium. Member, Steering Committee, Third International Conference on Eco-friendly Computing and Communication Systems (ICECCS'14), Dec. 18-21, 2014, NITK, Mangalore, India. Member, Technical Program Committee, IEEE SustainCom 2014 - 4th IEEE International Conference on Sustainable Computing and Communication, Sydney, Australia, 3-5 December 2014. Member, Technical Program Committee, The 2014 International Workshop on Advances in Cloud Computing Legislation, Accountability, Security and Privacy (CLASP)In conjunction with the 7th IEEE/ACM IEEE/ACM International Conference on Utility and Cloud Computing (UCC 2014), 8-11 December 2014, London, UKB. Member, Technical Program Committee, Communication and Information System Security Symposium, 2015 IEEE International Conference on Communications (ICC), June 8-12, 2015, London, UK. Member, Technical Program Committee, 4th International Conference on Smart Cities and Green ICT Systems (SMARTGREENS 2015), May 19-21, 2015, Lisbon, Portugal. Member, Technical Program Committee, IEEE International Workshop on Cloud-integrated Cyber Physical Systems 2014 (IEEE Cloud-CPS 2014) in conjunction with 6th IEEE International Conference on Cloud Computing Technology and Science (CloudCom 2014), December 15-18, 2014, Singapore. Member, Technical Program Committee, The 29th IEEE International Conference on Advanced Information Networking and Applications (AINA-2015), Gwangju, Korea, May 24-27, 2015. Member, Technical Program Committee, 14th International Conference on Intelligent Systems Design and Applications (ISDA'14), Okinawa, Japan, 27-30 November, 2014. Member, Technical Program Committee, The Second International Conference on Smart Systems, Devices and Technologies (IARIA SMART 2013), June 23-28, 2013, Rome, Italy. Member, Advisory Committee, The International conference on Green Computing, Communication and Conservation of Energy ICGCE-2013, 12-14 December , 2013, Chennai, India. Member, Technical Program Committee, Third International Symposium on Trust and Security in Cloud Computing (IEEE TSCloud 2013) co-located with 12th IEEE International Conference on Trust, Security and Privacy in Computing and Communications (IEEE TrustCom 2013), 16-18 July, 2013, Melbourne, Australia. Panel Chair, 3rd IEEE International Workshop on Smart Communication Protocols and Algorithms, June 9-13, 2013, Budapest, Hungary. Member, Technical Program Committee, The International Congress on Advances in Citizen, Cyberspace & Environment Safety and Security (ACCESS 2013), Singapore, 5-7 June 2013. Member, Technical Program Committee, 2nd International Conference on Smart Grids and Green IT Systems-SMARTGREENS 2013, Aachen, Germany 9-10 May, 2013. Publication Chair, International Symposium on Intelligent Informatics (ISI'12), Chennai, India, August 4 - 5, 2012. Member, Technical Program Committee, 2nd International Conference on Smart Grids and Green IT Systems-SMARTGREENS 2013, 9-10 May, 2013, Aachen, Germany. Member, Technical Program Committee, IEEE International Conference on Green Technologies -ICGT12, Trivandrum, India, Dec 18-20, 2012. General Co-Chair, Second World Congress on Information and Communication Technologies (WICT2012), Trivandrum, India, October 30 - November 2, 2012. Member, Technical Program Committee, The Second International Conference on Green Communications and Networking, Gandia, Spain, October 24-26, 2012. Member, National Advisory committee, International Conference on Intelligent Systems and Control (ISCO'2013), Coimbatore, India, January 4-5 2013. Reviewer, Globecom 2012 - Communication and Information System Security Symposium (GC12 CISS), Califirnia, December 3-7, 2012. Conference Chair, International Conference on Security in Computer Networks and Distributed Systems (SNDS-2012), Indian Institute of Information Technology and Management-Kerala (IIITM-K), Trivandrum, 11-12 October 2012 . Member, Technical Program Committee, IEEE International Conference on Technology Enhanced Education (ICTEE 2012), Amritapuri, Kerala, India, January 3-5, 2012. Member, Technical Program Committee, Track on "Ad-Hoc, Mesh and Sensor Networks", 2012 IEEE 75th Vehicular Technology Conference: VTC2012-Spring, Yokohama, Japan, May 6-9, 2012. Member, Advisory Committee, International Conference on Informatics, Computics Networktics, VINS Christian College of Engineering, Kanyakumari, Tamil Nadu . Member, Technical Program Committee, The Second International Workshop on Advanced Communication Technologies and Applications to Intelligent transportation systems, Cognitive radios and Sensor networks 2012 (ACTICS-2012) in conjunction with IMIS-2012, Sanpaolo Palace Hotel, Palermo, Italy, July 4-th to July 6-th, 2012. Member, Technical Program Committee, IEEE International Conference on Recent Trends in Computing and Software Systems (RACSS 2012), SSN College of Engineering, Chennai, India, April 25-27, 2012. Track Co-Chair, "Special Track on Bio-inspired Approaches to Advanced Computing and Communications", Co-located with 6th International ICST Conference on Bio-Inspired Models of Network, Information, and Computing Systems (Bionetics 2011), December 5th - 7th, 2011 - York, England. Member, Technical Program Committee, Second IEEE International Conference on Communications and Information Technology - ICCIT 2012, June 26-28, 2012, Hammamet, Tunisia. Member, Technical Program Committee, International Workshop on Technologies and Applications for Cyber-Physical Systems (TACPS 2012), Gwangju, Korea, September 6-8, 2012. Member, Technical Program Committee, Third International Workshop on Advances in Sensor Technologies, Systems and Applications (ASTSA-2012) in conjunction with Sixth International Conference on Broadband and Wireless Computing, Communication and Applications (BWCCA-2012), University of Virtoria, Victoria, Canada, November 12 - 14, 2012. Member, Technical Program Committee, The Eighth International Workshop on Mobile Peer-to-Peer Computing (MP2P'12) in conjunction with The Tenth Annual IEEE International Conference on Pervasive Computing and Communications (PerCom 2012), Lugano, Switzerland, March 19-23, 2012. Conference Chair, International Conference on Advances in Computing and Communications (ACC2011), Kochi, Kerala, India, July 22-24, 2011. Member, Technical Program Committee, 11th International Conference on Intelligent Systems Design and Applications (ISDA 2011), November 22-24, 2011 - Cordoba, Spain. Member, Technical Program Committee, The 6th International Conference on Frontier of Computer Science and Technology (FCST-11), Changsha, China, November 16-18, 2011. Publicity Co-Chair, Fifth International Conference on Internet Multimedia Systems Architecture and Applications (IMSAA-11), IIITB, Bangalore, India, December 12-14, 2011. Member, Technical Program Committee, International Conference on Security Aspects in Information Technology, High-Performance Computing and Networking (InfoSecHiPerNet 2011), September 28 - October 01, 2011, Haldia Instituite of Technology, West Bengal, India. Member, Technical Program Committee, Second International Workshop on Advances in Sensor Technologies, Systems and Applications (ASTSA-2011) in conjunction with Sixth International Conference on Broadband and Wireless Computing, Communication and Applications (BWCCA-2011) at Technical University of Catalonia, Barcelona, Spain, October 26-28, 2011. Special sessions/Events Chair, World Congress on Information and Communication Technologies (WICT 2011), Mumbai, India, August 25-28, 2011. Member, Technical Program Committee, The Seventh International Workshop on Mobile Peer-to-Peer Computing (MP2P'11) in conjunction with The Ninth Annual IEEE International Conference on Pervasive Computing and Communications (PerCom 2011), Seattle, USA, March 21 - 25, 2011. Member, Advisory Committee, International Conference on Recent Advances In Technology, Engineering, Management And Science (ICRATEMS 2011), Vivekanandha College of Engineering for Women, Erode, Tamil Nadu, 4 - 6 March 2011. Publicity Chair, The 2011 International Conference on High Performance Computing & Simulation (HPCS 2011), Bahcesehir University, Istanbul, Turkey, July 4-8, 2011. Member, Advisory Committee, Third National Conference on Next Generation Computing & Information Systems 2010 (NGCIS2010), Model Institute of Engineering and Technology (MIET), Jammu, India, December, 18-19, 2010. Member, Technical Program Committee, The 2011 IEEE Symposium on Computers and Informatics (ISCI 2011), Kuala Lumpur, Malaysia, March 20 - 22, 2011. Reviewer, Amrita- ACM-W celebration of Women in Computing (A2CWiC) - First Conference of Women in Computing in India, Amrita University, Coimbatore, India, September 16-17,2010. Member, Technical Program Committee, All India Seminar on Web Technologies: Emerging Trends and Social Impacts, The Institution of Engineers (India), Kochi, India, August 30-31, 2010. Reviewer, International Conference on Communications and Signal Processing (ICCSP2011), National Institute of Technology, Calicut, India, February 10-12, 2011. Member, Technical Program Committee, 2010 IEEE Conference on Open Systems (ICOS 2010),Kuala Lumpur, Malaysia, December 5-8, 2010. Session Chair, International Conference on Recent Trends in Business Administration and Information Processing (BAIP 2010), Trivandrum, Kerala, India, March 26-27, 2010. Program Co-Chair, First International Workshop on Bio-inspired Approaches to Advanced Computing and Communications (BioAdcom2010), Co-located with 5th International ICST Conference on Bio-Inspired Models of Network, Information, and Computing Systems (BIONETICS 2010) [http://www.bionetics.org/], Boston, Massachusetts, December 1-3, 2010. Program Co-Chair, First International Workshop on Trust Management in P2P Systems (IWTMP2PS 2010) co-located with Third International Conference on Network Security & Applications (CNSA-2010), July 23 - 25, 2010, Chennai, India. Member, Technical Program Committee, International Workshop on Management of Emerging Networks and Services (MENS 2010) in conjunction with IEEE GLOBECOM 2010, 6-10 December 2010, Miami, Florida, USA. Member, Technical Program Committee, National Conference on Latest Issues in Information Technology (LIIT-2010), March 1, 2010, organized by Department of Information Technology, R.M.D. Engineering College, Chennai, India. Member, Technical Program Committee, IEEE International Conference on Ultra-Modern Telecommunications - ICUMT 2009, 12-14 October 2009 Saint Petersburg, Russia. Second Workshop on Design and Analysis of Algorithms (sponsored by ACM India), April 24-29, 2015 at IIITM-K, Technopark, Trivandrum. Workshop on Network Forensics, January 23, 2015 , IIITM-K, Trivandrum. Faculty Development Programme on Distributed Computing Environments, Nov-Dec, 2010, Rajagiri School of Engineering and Technology, Kochi. Two-day Workshop on MacOS X & FinalCut Studio in association with Accel Frontline Ltd., December 21-22, 2006, LBS College of Engineering, Kasaragod. VLSI & Embedded Systems, Chaithanya Bharathi Institute of Technology, Hyderabad. Database Management Systems, Vellore Engineering College, Vellore. Ph.D Thesis Examiner for Deakin University, Melbourne; Nanyang Technological University, Singapore; Anna University,Chennai; Sathyabama University, Chennai; Karunya University; Devi Ahilya Vishwavidyalaya, Indore; Visvesvaraya Technological University; VIT University and University of Delhi. Certified ISO 27001:2013 Lead Implementer Professional for BS ISO/IEC 27001:2013 Informaiton Security Management System, British Standards Institution(BSI). Member (Editor), Cybersecurity Manual for All Schools in Kerala, State Council of Education Research and Training(SCERT Kerala). Technology Angel of Technopark Technology Business Incubator, a joint association of Technopark, Trivandrum and the Department of Science and Technology (DST), Government of India. Mentor, Centre for Innovation and Technology Incubation, IIITM-K.
Mentor, IEEE Mentor Centre - online program that facilitates the matching of IEEE members for the purpose of establishing a mentoring partnership. Mentor, eGURU, an Open Source initiative providing e-guidance and online mentorship to students for their final year projects.